That annual chatter regarding online poker regulation in various states has already begun for 2016. The problem is that much of the chatter is going on outside of California and Pennsylvania. While any discussion regarding iPoker regulation is positive, the reality is that much of it is glorified lip service. While it is great that Massachusetts and Washington State are already talking about regulation this year, there’s nothing that leads us to believe that they will lead to even as much as a positive committee vote. Frankly, until Pennsylvania or California regulate online poker, most talk towards that end is pointless. We’ve beat this horse to death, but the fact remains that online poker by itself has been uninspiring in the regulated market. While the protections in place are great for players, regulation has not proved nearly the boom to operators as hoped. New Jersey experienced tremendous growth in 2015, but that was all on casino games. 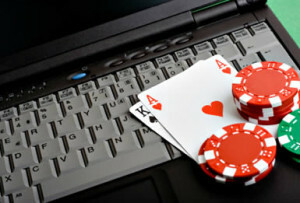 Online poker struggled all year and is expected to continue struggling until PokerStars launches. Even then, there’s no guarantee that the market will “grow.” Some believe that the market will merely regain its losses and that is all. Time will tell. Something that’s not been missed by analysts monitoring online gambling in the United States is the fact that New Jersey has chose not to join the interstate online poker network. Why is this? What real benefit does New Jersey gain from joining? At present, the Delaware – NV network isn’t that appealing as a selling point for regulation. However, if we can get Pennsylvania or California on board and have them join with New Jersey, then we have an entirely different ballgame. The interstate iPoker network needs two significant markets in order to become viable. Until that happens, Nevada and Delaware will have to play by themselves. How often have we heard lawmakers talk about “sitting back and watching” to see what happens with the regulated market. If we read between the lines, most mean that they are waiting to see what California or Pennsylvania are going to do. Before last year, most of the focus was squarely on California but now with Pennsylvania likely to regulate iGaming, the entire East Coast goes on notice. When Pennsylvania goes online, you can expect New York, Massachusetts, Maryland and West Virginia to follow. We could even see a couple of smaller states jump on board. California finally regulating online poker (and joining the interstate network) will make regulated online poker a viable option for states that are currently on the fence and concerned the revenue isn’t there. As California and Pennsylvania goes, so will the rest of the U.S. regulated iPoker market. The question now is, how long will we have to wait for them to act? Tagged California Online Poker, New Jersey Online Poker, New York Online Poker, New York online poker legalization, New York Online Poker Legislation, Pennsylvania Online Poker. Bookmark the permalink.